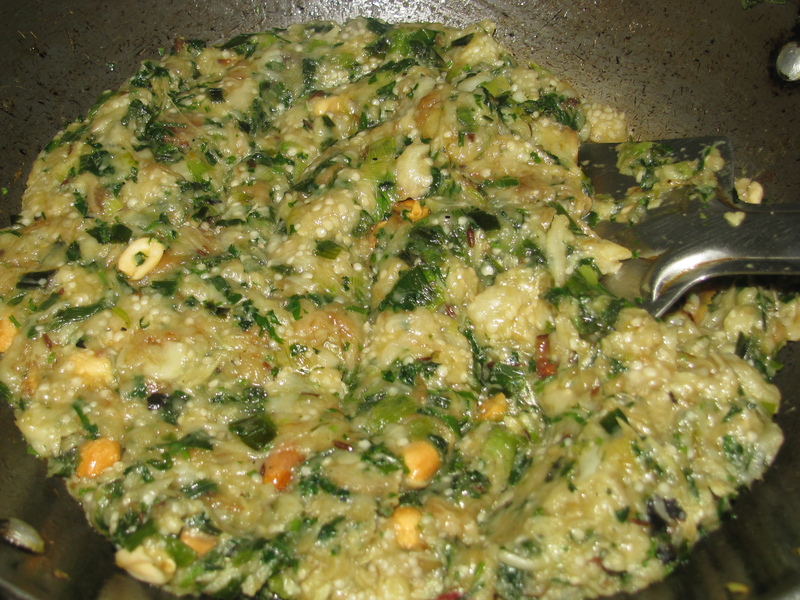 This recipe is little spicy but very delicious ….it looks green …the aroma of coriander, green onions and garlic gives it a very tempting flavor . 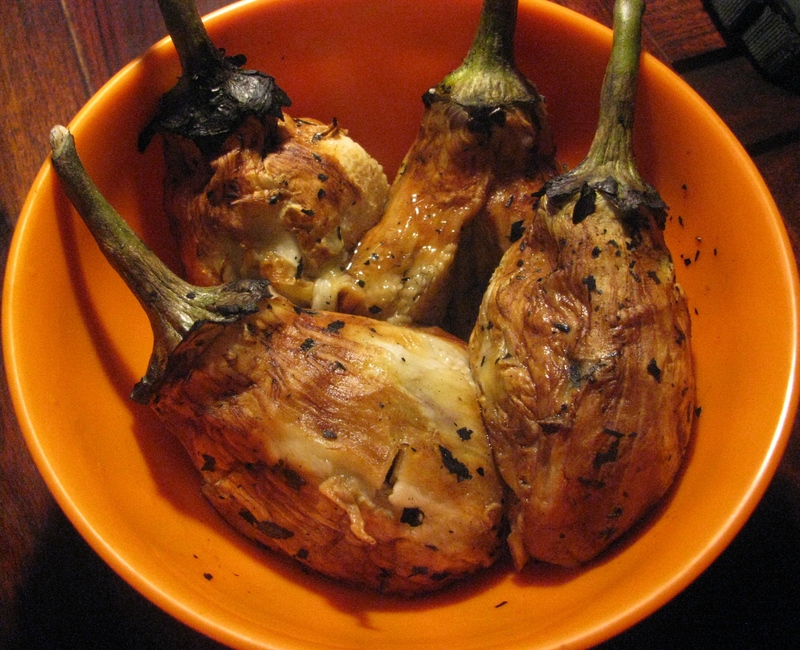 I have tasted variety of eggplants(vangi/brinjal/baingan) from almost all parts of India…But the best one which I had ever tasted is from “khandesh”(which is also called “Banana Republic of India”) , irrigated agricultural region of western India…The big light green shiny slender shape eggplant ( brinjal / aubergine ) are available exclusively in this region of Maharashtra…This brinjal are huge and one might weigh up to 2-3.5lbs…the roasted eggplant recipe of this eggplant tastes the best … I’m following the same recipe which is very traditional in this part of India … if you ever visit the small village of this region of khandesh you will love to stuff yourself with this spicy recipe…the traditional roasting of this brinjal is done on bonfire … Well now I don’t stay in north maharashtra so I’m using the big purple eggplant for this recipe. 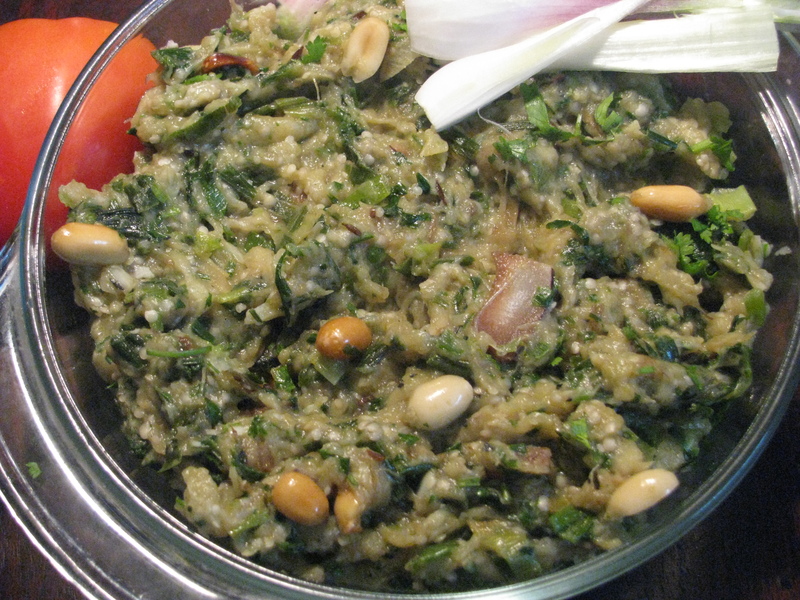 Mash the roasted eggplant when it is hot don’t allow it to cool its difficult to mash it if its cool down .This mashing procedure usually done in badgi (wooden mortar and pestle ) . u can use potato masher for this purpose. 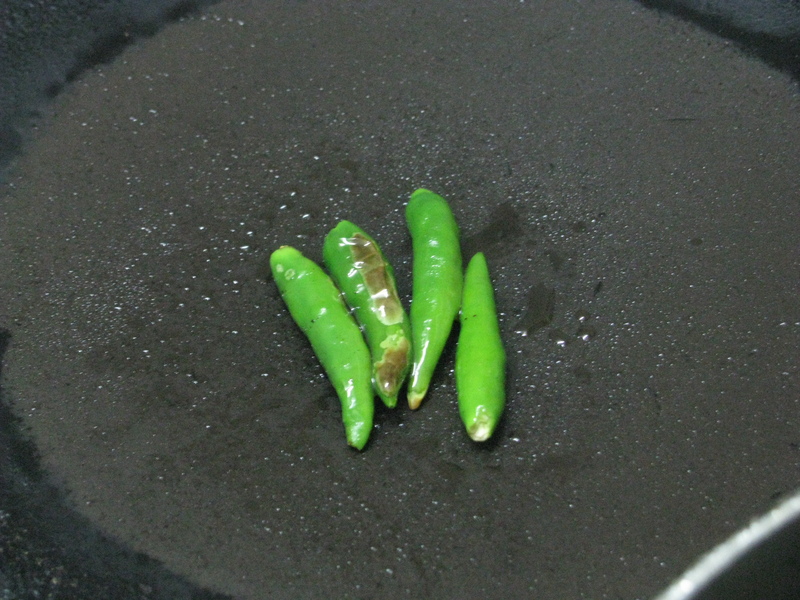 Roast green chili with very little oil . take garlic and this roasted green chilly and ground it nicely. 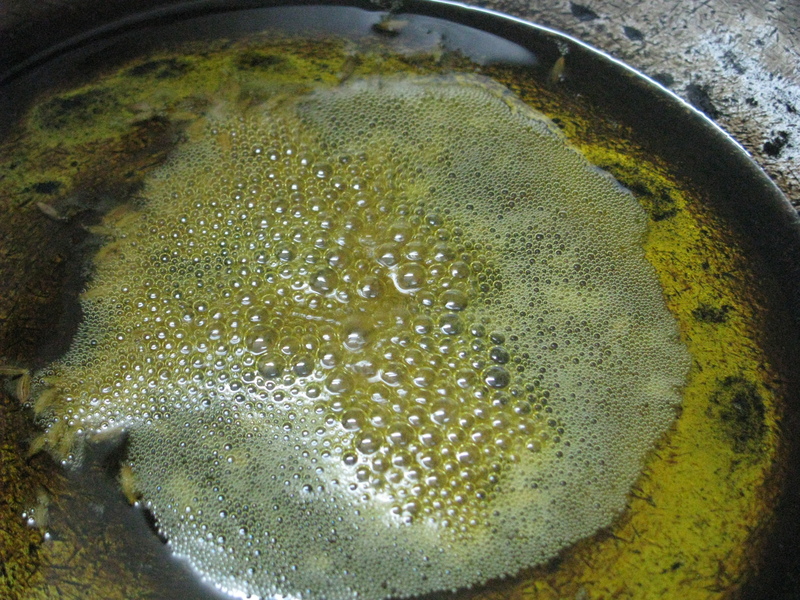 Heat oil in a pan . add carom seeds & dry coconut slices ,roast this slices till it becomes little brown. 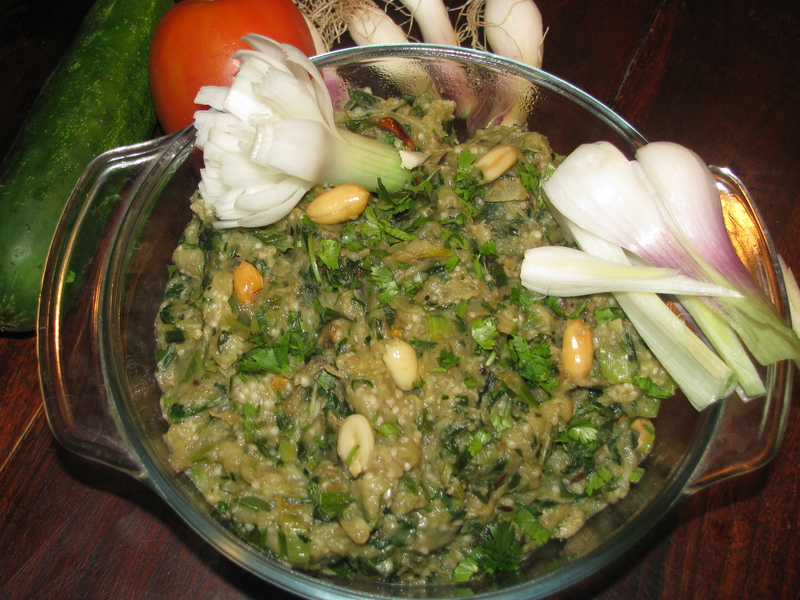 Add grounded green chilies- garlic & roasted peanuts . 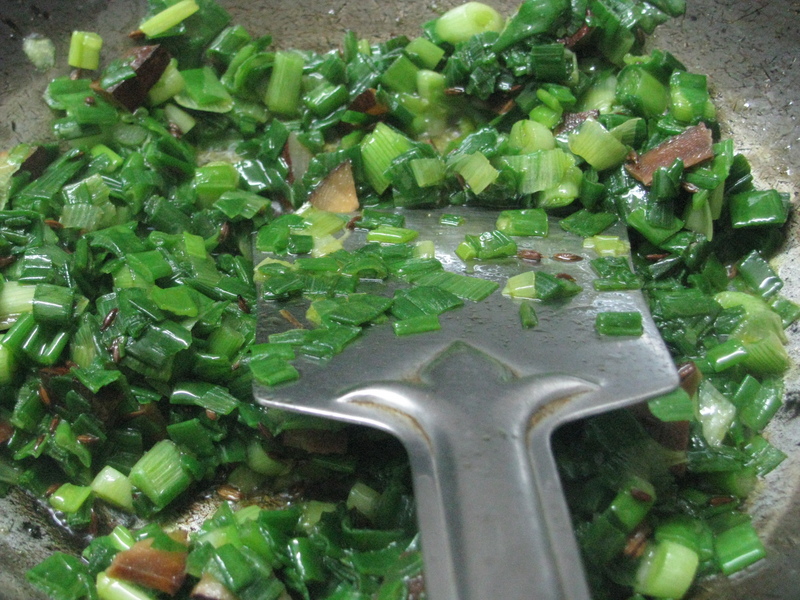 When this green onion and green garlic becomes tender add roasted and mashed eggplant to it ….mix it nicely and let it cook for 6-7 minutes stirring it occasionally. 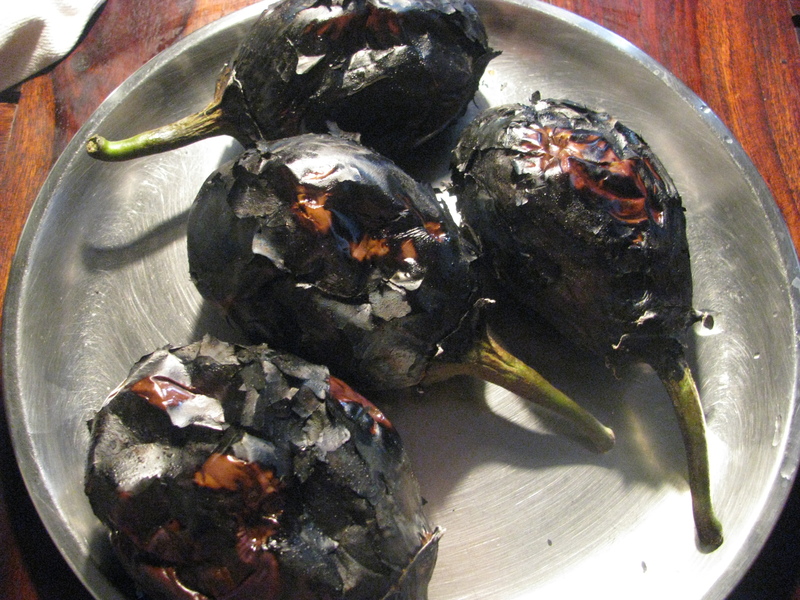 1) Don’t discard the oil which comes out of brinjal / eggplant / vangi after you roast it ….taste it if its bitter then discard it otherwise use it in the recipe ..
I’m from Jalgaon Khandesh now staying in USA and I know how heavenly this recepie tastes. I miss this dish very much. Thank you so much for uploading this dish. Nostalgia!!!! Thanks for the recipe. It looks very nice. 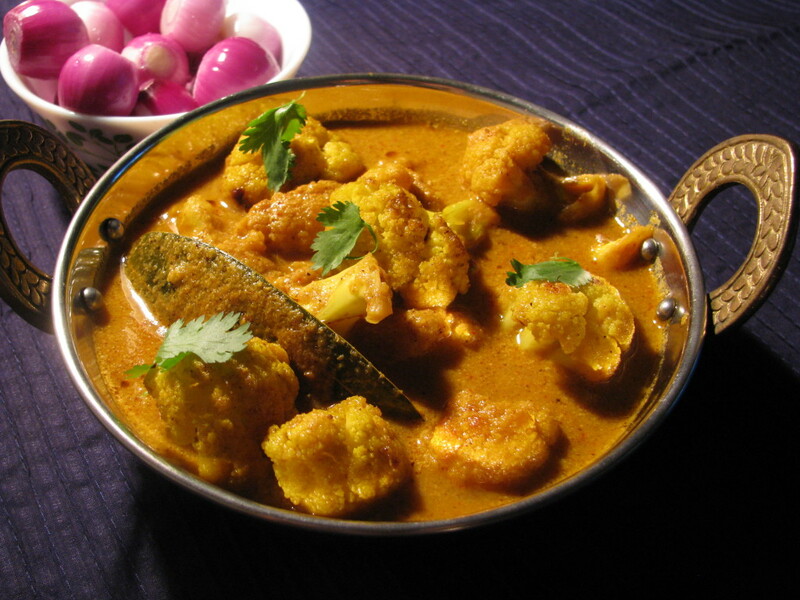 I am from jalgaon too … Can you please upload more khandeshi food? It reminds of vangi bharit kendra in jalgoan. for vangi bharit lover that place is as holy as any of char dham. it broadly inside the United states and U.K. previously this calendar month.